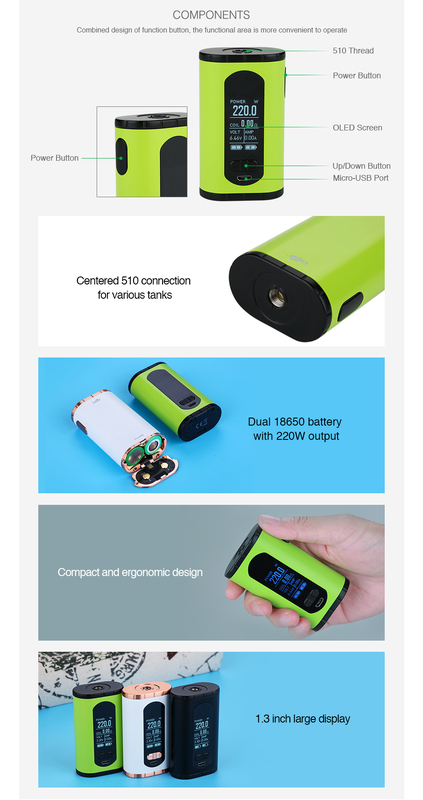 The Eleaf Invoke 220W TC Box MOD is the latest vaping device of compact size and ergonomic design. 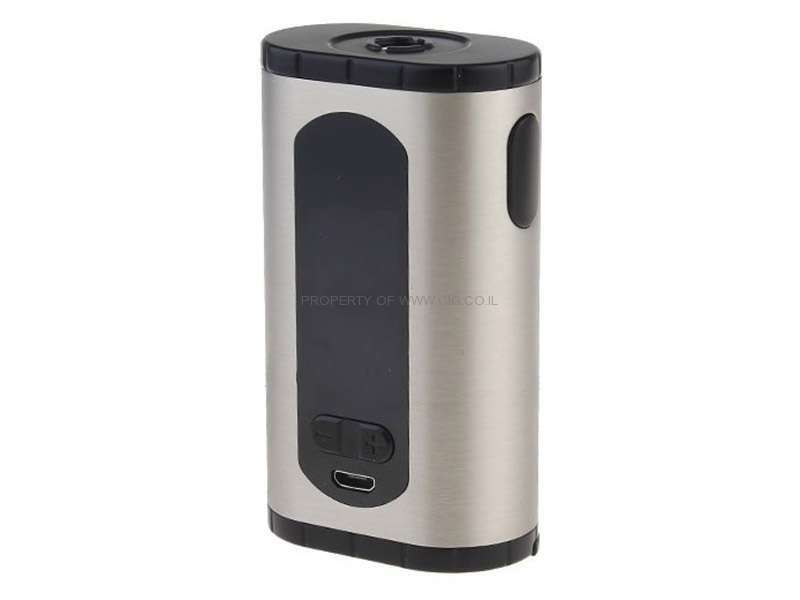 Powered by dual external 18650 batteries, it supports a maximum output of 220W. The centered 510 connection provides a high compatibility with tanks of various sizes. The 1.3-inch display shows the vaping status from power wattage to coil resistance very clearly. The firmware can also be updated by connecting to the computer. The balanced charging is a plus too, securing a longer battery lifespan. 4 colors.